Time to shine again on the national stage! Home Motosport DTM Time to shine again on the national stage! Since the re-birth of DTM in 2000, Mercedes is the only brand that had a constant presence on the grid. For the 18th season in a row, they expect nothing less than conquering all titles. But so do the opposition from Audi and BMW, as the pecking order will be reshuffled by the new technical and sporting regulations. At the end of 2016, things were quite gloomy in DTM. Fans complained about the processional Saturday races, manufacturers kept an eye on the high costs, while drivers kept on demanding more of a challenge. Audi went for drastic cuts by retiring from the World Endurance Championship, BMW announced they will join the aforementioned WEC in 2018 and Mercedes-Benz confirmed their long-term involvement in Formula 1. Financially, DTM programmes were under threat, or at least under scrutiny. For the sake of continuity, all three brands agreed to reduce their quotas from 8 to 6 cars in 2017. ITR, the governing body of the DTM, responded in a similar proactive way, by doing everything possible to make the series more attractive. Thus, we now have new technical regulations: increased power (over 500bhp), less aero dependency, more cost-cutting via shared standard components and a high-degrading dry weather tyre from Hankook. The sporting book was also revised. Both races will now have equal length (55 minutes) and a mandatory pit stop, Lucas Auer stating that the degradation might even force racers to pit twice. They can enter the pitlane at any point in time now, but it will take longer to change all four wheels, because you can only have one wheel gun on each side of the car in 2017. Restarts will be electric this year, as the leader will not dictate the pace anymore. The pack will align side-to-side, waiting for a signal to floor the throttle, like they do in IndyCar. There will be a special celebration on Sunday, at the Hockenheim opener. Mercedes-Benz reaches an incredible milestone of 400 races in the DTM, almost 30 years since they first decided to follow BMW and Ford in an arena previously reserved to privateers. Almost half of those races ended with a Mercedes car winning (175), or claiming the fastest lap (180). One race in four has ended with a Stuttgart one-two. At the end of 2016, half of the drivers did not get their contracts renewed: Gotz, Juncadella, Rosenqvist and Vietoris. Subsequently, this means we have two new faces in the current line-up. They are not youngsters coming from F3, as so often happens nowadays, but known quantities that surpassed the 30-year mark. Maro Engel returns after a stellar period in GT racing, having won the FIA World Cup in Macau (2015) and the high-profile 24-hour race at the Nurburgring Nordschleife (2016). The DTM has changed a lot since the end of 2011: Engel spent four years on older-generation cars, his last season being run on a 2008 C-Klasse! Now, everyone in a team has equal machinery, so we can draw parallels between drivers with more precision. Moreover, all six Mercedes cars will be run centralized by the HWA team, as private entities Mucke Motorsport and ART Grand Prix cease their involvement in the series. One more variable is eliminated, leaving us wondering who might lead the chase. 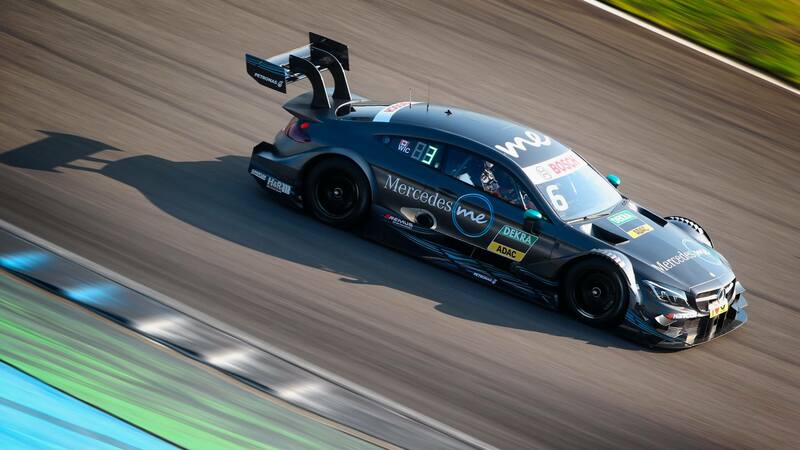 Edoardo Mortara turned his back to Audi after six years, aiming for number one status in the Mercedes camp. 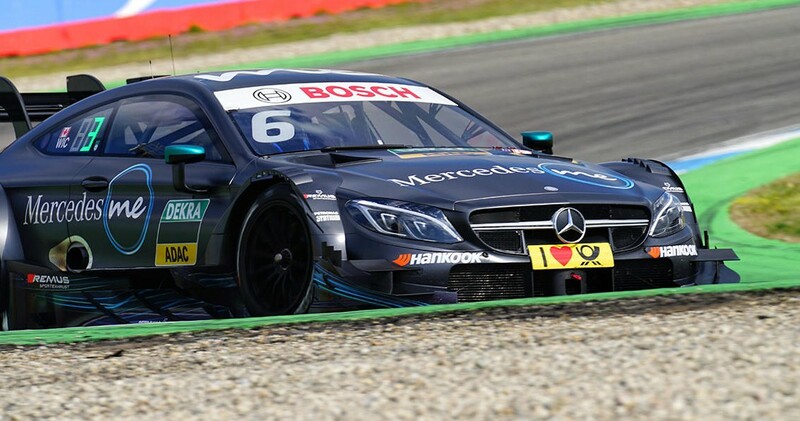 The Italian still has to prove his worth compared to veterans Gary Paffett and Paul di Resta, experienced racers like Robert Wickens or hungry youngsters such as Auer. Mercedes ended last year on a low note, out of contention for all titles after a successful 2015 when Wehrlein brought the drivers crown. A long time has passed, though, since the last constructors championship, claimed at the end of 2010. In recent times, Hockenheim has been an Audi playground (8 wins from the last 9 outings). Paul di Resta drove a brilliant race on Sunday last year, scoring his first year since he came back in the series after his F1 adventure. In the end, this is the beauty of DTM – you never know who might challenge for the title. Anyway, Ulrich Fritz is confident that his six drivers will challenge for top honours in 2017. One could put a penny on Mortara finally becoming champion, given his appetite for revenge and his form in the latter part of last year. Alexandru is the editor-in-chief of Pitstops, the leading motorsports portal in Romania. His aim is to educate a new generation of technical-aware racing fans, by sharing stories and frames from various racetracks across the world. Long time no updates on mercblog? What happend? some changes. we start again today.